In a month’s time, Alibaba Group Holdings will open its shares for U.S. investors in a grand IPO that is expected to raise more than the $16 billion raised in 2012 by Facebook Inc. (NASDAQ:FB). The Chinese e-commerce giant, founded and headed by Jack Ma, has already chosen the New York stock Exchange as its preferred destination under the ticker BABA. Most analyst valuation puts Alibaba in league with the top five most valuable tech companies. Therefore, its IPO will present the U.S. investors with an opportunity to hold a large cap stock. And while everything about this Chinese conglomerate is huge, there is one pressing concern that every investor must look at with an open eye and sober mind, Mr. Jack Ma. Ma holds 8.9% of Alibaba stake. This is a partly fraction to the 22.6% that Yahoo! (NASDAQ:YHOO) or 34.4% that Japan’s SoftBank (SFTBF) owns. Nevertheless, Ma is the most powerful shareholder and member of the board. His capabilities transcend his official title; he is a public figure and enjoys the backing of the Beijing regime. Alibaba amended its IPO filing to accommodate a strange clause that allows a committee of merely 27 partners to collectively nominate more than half of the board of directors. The shareholders then vet the nominees and can veto whoever they are not comfortable with. However, the partners have the power to choose an alternative in acting capacity until the next AGM. It is surprising that both majority shareholders, SoftBank and Yahoo have backed this partnership. The SEC listing amendment meant that the total power of the company rested with Ma and his small clique of partners. This follows that the U.S. investors who will buy alibaba shares will have trusted this clique to make decision on anything regarding the company affairs. Jack Ma’s political influence is another pressing concern if the legal structure is anything to go by. Interestingly, one of Alibaba’s funds is founded by the son of Wen Jiabao, a former premier. Alibaba’s important licenses are held through variable interest entities (VIEs) to bypass the Beijing legislation on foreign ownership. He is very familiar with these structures, and that’s why he was able to divest Alipay (PayPal like payment unit) from Alibaba without Yahoo!’s prior knowledge, let alone its consent. Then Yahoo! was Alibaba’s largest foreign shareholder. His argument was that the unit needed an important license from the People Bank of China (PBC) in a moment notice. The company’s existence in Zhejiang where China’s president, Xi Jinping, was formerly the province’s party chief, has helped Ma to enjoy Beijing’s support. This influence has helped the company overcome many obstacles that has hindered the progress of many non-state companies in China. However, this influence could play against U.S. investors should there be conflict arising from the company’s legal structure. As at now, Mr. Ma owns the foreign vehicle that owns both Alipay and its money-market fund affiliate. Since the two money units are still in partnership with Alibaba through complex contracts, there could be a conflict of interest in the future. Other reasons that highlights Ma’s unilateral decision includes the recent impulse purchase of stake in irrelevant sectors such as acquiring stake in Chinese soccer team, and irregularly lending cash to one of his partners in the disguise of acquiring stake in cable TV company. There also other cases where his private equity funds has been lined up as a co-investor. 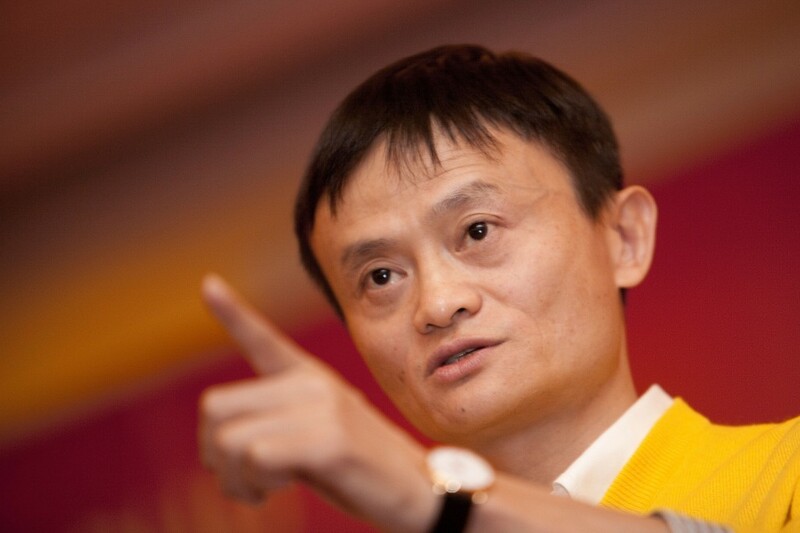 Jack Ma founded Alibaba and he has been the force behind it since its inception. He has watched the company grow from just one platform, Taobao, to multiple platforms with almost 85% control of the world’s largest e-commerce market. The company’s quarterly revenue (2014 Q1) stands at $1.5 billion, an increase of about 39% a year earlier. It would be ridiculous to question Ma’s leadership given this success. However, company is now going public and a public company would want a leader who serves the best interests of its shareholders. Can Jack Ma do that?